Sasquatch Use of Symbols- Do Bigfoot Create Glyphs to Communicate Information? Sasquatch laying down a stick formation. In the course of investigating the wilderness-dwelling hominins in North America variously known as Sasquatch, Bigfoot, and Skunk Ape, there have been increasing reports by numerous researchers of structures and arrangements made of tree branches, stones, and even skeletal remains that appear to be markers or symbols that may communicate a message or information. Examples of some of these arrangements are those in the form of poles placed together in a tipi-like cone, a series of stones stacked in a column, saplings twisted; bent at right angles and pointing in a specific direction, or bones arranged in geometric patterns. In my own research I have seen such structures that are likely examples of all of the above, although many of them could be alternatively attributed to human activity. In several cases, such as four-to-five inch diameter samplings twisted and bent in an action requiring tremendous torque and force, a human agency performing this act in remote wilderness regions is very unlikely. In a recent foray, (Feb. 2012), I found some small but very interesting and atypical structures that have some intriguing and puzzling features that I think may be significant, if corroborated by further examples found during future research. 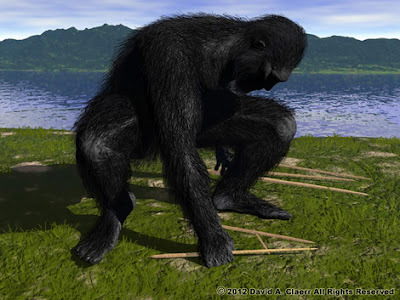 You can read about the structures David found in greater detail at his article titled, "Sasquatch Use of Symbols- Do Bigfoot Create Glyphs to Communicate Information?" YUKON, Oklahoma - The Animal Planet show "Finding Bigfoot" made the trip to Yukon, Oklahoma Saturday in search of the mythological creature. 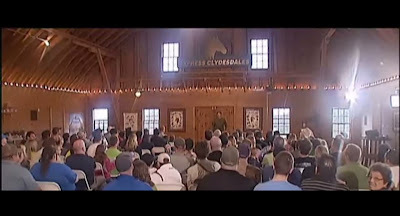 Hundreds of people showed up at Saturday night's town hall style meeting to talk about their own Bigfoot experiences. Crews for the show arrived in Yukon on Friday. They will be around the area for a week. The episode featuring Oklahoma will air sometime this summer. 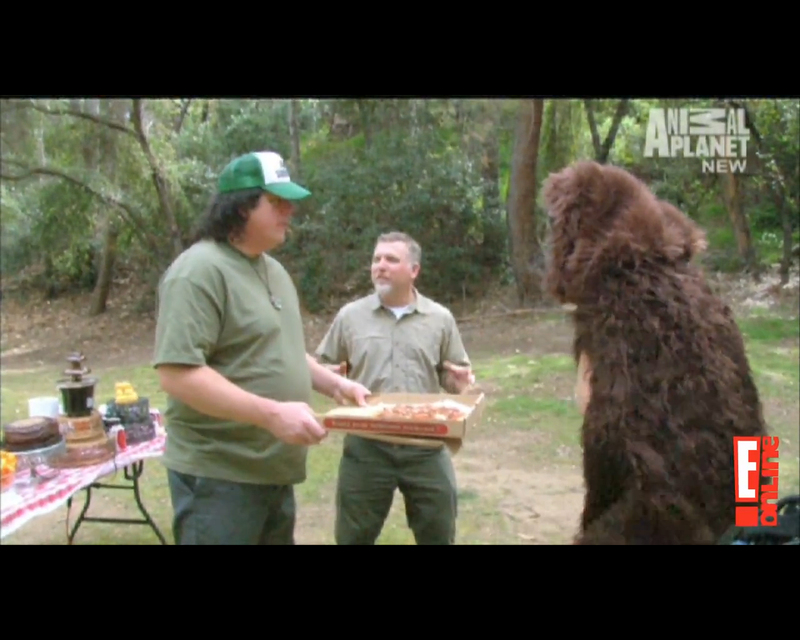 "Finding Bigfoot" airs Sundays at 9 p.m. on Animal Planet. Today, we got a heads up from the producer of The Soup regarding the skit Bobo and Cliff did on their show. It is hilarious! Check it out below and make sure you check out The Soup starring Joel McHale served up by E! every Wednesday 10/9 central.